Five years after its initial launch, customer demand for the BMW i models continues to grow at such a rate that production in Plant Leipzig will be increased by over 50% this autumn, to 200 cars a day. In the first five months of the year, sales of BMW i, BMW iPerformance and MINI Electric vehicles jumped 41.0% to total 46,849. The growing trend towards electrification continues globally, with several significant markets reporting especially strong development. For example, electrified vehicles accounted for nearly 7% of all BMW and MINI models sold in the USA in the first five months of the year (9,762 / +61.0%) and more than 7% of BMW and MINI sales in the UK (6,555 / +34.2%). In some markets, electrified vehicles already account for more than half of all BMW and MINI sales. Examples here are Norway (4,125 / +5.8%) and Malaysia (2,313 / +37.9%). 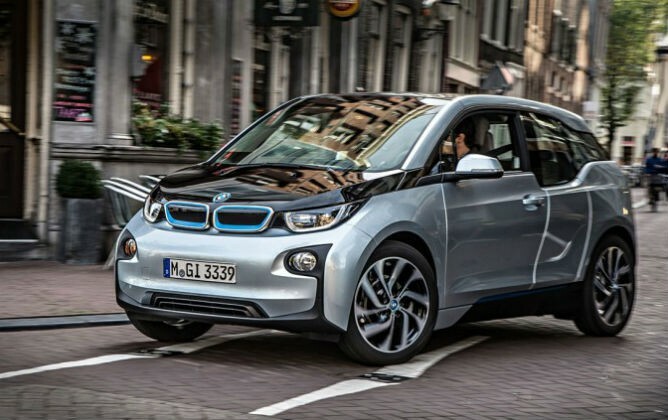 The BMW Group remains well on target to achieve its stated aim of selling over 140,000 electrified vehicles in 2018. Sales of BMW X vehicles in the first five months of the year totalled 303,202 units (+3.4%) and accounted for 35.3% of all BMW brand sales. The brand has delivered 858,675 (+1.6%) vehicles to customers this year, with models such as the BMW 1 Series (82,828 / +11.6%) and the BMW 5 Series (156,105 / +12.5%) contributing to that growth. In the first five months of the year, global MINI brand sales increased by 1.2% (143,472). Meanwhile sales at BMW Motorrad in the first five months of the year totalled 70,007 / ‑1.6%. This year, BMW Motorrad is introducing nine new models and the related adjustments in production are affecting deliveries. Nonetheless, BMW Motorrad continues to strive for sales growth in 2018.